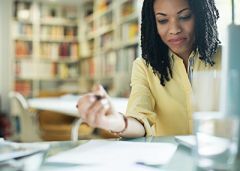 (BPT) - Starting a business can be intimidating, but with a solid business plan and guidance from the small business community of experts, it can also be incredibly rewarding. Whether you own a local restaurant or an online Etsy shop, one of the biggest things to get used to as a new small business owner is filing taxes for the first time. If you're filing a business return, hiring an experienced professional tax preparer can help you avoid making common mistakes that can impact the success of your small business. What tax deductions can I claim? Even if the expenses were incurred during the previous calendar year, the IRS allows businesses to deduct up to $5,000 worth of certain start-up expenses in the year the business began (subject to limitations). In addition to these costs, corporations and partnerships are allowed to deduct up to $5,000 of their organizational costs in their first year of operation. Is my car mileage deductible? If you use your home as a place of business and consider it your principal place of business, car owners are typically allowed to deduct mileage costs from their home to business-related stops. Can I deduct business travel expenses? When you are traveling away from your usual business location, you may be able to deduct ordinary and necessary expenses related to your work. These expenses include transportation costs, lodging, dry cleaning or laundry, tips, baggage charges and business equipment usage expenses such as fax machines or phones. Meals can be deducted if the trip is overnight but there is a 50 percent limitation on these deductions. Are personal care and clothing expenses deductible? No, the IRS has a very strict rule against personal clothing being deducted even if they are bought for business use and only worn at work. How does the Affordable Care Act (ACA) affect my taxes and deductions? The Small Business Health Options Program (SHOP) Marketplace allows for small business to purchase health insurance for their employees. If you pay at least half of your employee's premiums and have less than 25 full-time and equivalent employees with an average annual wage of less than $50,000 ($51,600 for 2016), you may be eligible for the small business health care tax credit. See the calculator at healthcare.gov. Tax preparation is not one-size-fits all, and navigating credits and deductions makes them even trickier - especially for small business owners and individuals with more complicated tax situations. Filing a business return for the first time can be a daunting task, but it doesn't have to be. A new offering is launching this year called Block Advisors that specializes in personalized tax preparation, tax planning, small business taxes and year-round support. For small business owners, Block Advisors also provides back-end needs like payroll and bookkeeping. Visit blockadvisors.com for more information or to find your nearest location. (Family Features) If $2,000 suddenly hit your bank account, you’d feel like you hit the jackpot, right? That will be a reality for many Americans this tax season as, according to a tax time survey by Straight Talk Wireless, Americans on average expect to receive exactly that back on their tax refund this year. Use this time to reap refund rewards! Don’t think of your tax refund as “fun” money. Sixty-eight percent of Americans said it’s easy to accidentally spend “fun” money on items they don’t really need, but by taking a step back and thinking long term you can make savings choices to help your refund stretch all year long. Be a saver. When it comes to tax refunds, Americans are split. Fifty-two percent think you should spend it and 48 percent think refunds should be tucked away in savings. Good financial habits start with saving. Which side will you be on this year? Resist the urge to splurge. Just 9 percent of Americans filing taxes this year said they’re likely to use their tax refund to splurge on a big ticket item. Instead, consider using tax refunds to establish good financial habits, such as cutting unnecessary bills. Make a list of monthly expenses and take time to reevaluate your spending on things like food, utilities or your monthly cell phone bill. You’re almost guaranteed to find ways to cut back and reduce costs. Think about where your tax refund would make the most impact. Wireless phone bills are the thing Americans are most likely to say they spent too much money on in 2015 (30 percent), even more than clothing (23 percent), groceries (23 percent) or travel (14 percent). Find cellular savings. Twenty-seven percent of Americans made an effort to cut spending on their wireless phone bills last year. You, too, can use your tax refund to cut ties with your wireless company in 2016. As you look for opportunities to make your tax refund go further, ask yourself why haven't you switched to a no-contract wireless phone plan? With Straight Talk Wireless, you get access to the best phones on America’s largest and most dependable 4G LTE networks starting at just $45 a month for the unlimited plan. Straight Talk phones and service plans are available exclusively at Walmart. Visit StraightTalkSwitch.com for terms and conditions of service and more information on how to make your refund go further this tax season. *The Straight Talk Wireless Tax Season Survey was conducted by KRC Research via an online survey of nationally representative 1,000 U.S. adults ages 18+ between January 19-22. (BPT) - While the Affordable Care Act (ACA) is no longer new, each year brings changes to the health care law. As you undoubtedly know, the ACA is inextricably linked to taxes so keeping up with annual changes is important. Given tax season is now well underway, here's what you need to know when preparing your income tax return this season. Beginning each January, a variety of tax documents are sent your way. Some arrive via snail mail and others appear in your email inbox. And while you've probably come to know the most common, like 1040, W-2 and maybe even Form 1099, this tax season you may receive forms you haven't seen before: 1095-B and 1095-C (Not to be confused with Form 1095-A, which was required last year). "These new forms are creating a bit of confusion for taxpayers this year. Folks simply aren't clear about what they're supposed to do with Forms 1095 when they receive them," says Andrew Townsend, tax analyst for TaxAct, a leading provider of affordable digital and download tax preparation solutions. "The important thing to know is that, in most cases, you do not need to wait until you receive these forms to file your tax return. Simply check a box on your return to indicate you had minimum essential coverage throughout the year. "You don't even have to worry about attaching 1095 forms to your return - the IRS receives a separate copy. Just put your form(s) in a safe place in case you need to verify any information later." In 2014, the IRS released Forms 1095-B and 1095-C as optional paperwork for employers and insurance providers. For tax year 2015, it became a requirement for every business and insurance provider to administer the forms to the IRS and the corresponding individual or employee as proof of provided coverage. Form 1095-A - if you purchased health insurance through the Health Insurance Marketplace in 2015, you can expect to receive Form 1095-A. When preparing your 2015 federal return, you will need to use this information to complete your income tax filing, claim premium tax credits and adjust any tax credit payments. Form 1095-B - your insurance company will send you this form if you received minimum essential health coverage through an employer, the government or a government-run plan such as Medicaid, Medicare, CHIP, TRICARE, VA benefits, etc. Form 1095-C - this form will come directly from your employer if it offered coverage to you through a company-sponsored health care plan. No matter which 1095 form you get, the purpose is the same: to provide an accurate picture of the health insurance coverage you had access to throughout the past year. However, the information provided on Form 1095-B and 1095-C varies slightly. Form 1095-B includes details specific to your selected health insurance plan, such as the name of your health insurance provider, who the plan covered and the period during which your family had health insurance. Form 1095-C lists the coverage options you were offered through a company-sponsored health care plan. Even if you chose not to participate in your company-sponsored plan, you will still receive Form 1095-C as proof of the options made available to you. Keep an eye out for these forms, which should be sent to you on or before March 31, 2016. The ACA says that most Americans living in the United States are required to have qualified health insurance coverage. "The good news is many people already meet minimum essential coverage requirements," Townsend says. "However, those who didn't have health insurance for more than two months in 2015 and did not qualify for an exemption may face a tax penalty for each month they went without coverage." This penalty, known as an individual shared responsibility payment, is not new this year, but the amount a taxpayer without qualifying insurance may be subject to pay with their 2015 tax return has changed. These costs have more than tripled since 2014 when the penalty was $95 per person or 1 percent of household income. In 2016 they spike even higher. If you do not meet the minimum essential coverage requirements throughout 2016, you may pay the greater of 2.5 percent of your household income or $695 per adult and $347.50 per child under 18 (up to $2,085 for a family). It can be challenging to stay on top of annual changes to the ACA and the related tax implications. Fortunately, taxpayers can turn to a number of resources, including TaxAct, for help. (BPT) - As we head into the 2016 annual health care enrollment period, the benefits of different plan options may seem hard to decipher. Like many employees, you may have never considered a flexible spending account, or FSA. In fact, only about 30 percent of workers who have an FSA available to them sign up to take advantage of the program. However, a variety of benefits make health care FSA plans worth a second look. According to a March 2015 survey conducted by Visa and WageWorks, fear of losing money at the end of the year is the number one reason employees don’t participate in health care FSA plans, despite the fact they’re leaving tax savings on the table. What you may not know is that the IRS revised options in 2013 to allow for carryover of FSA dedicated funds up to $500 — meaning, you don’t need to fear the notion of “use it or lose it.” With an increasing number of employers now providing FSA carryover options, there’s a good chance your employer is offering this benefit to you as well. In the same Visa/WageWorks survey, 60 percent of employers said they opted to offer the FSA carryover option this year. 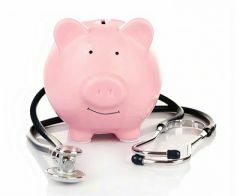 A health care FSA with carryover helps eliminate the stress and pressure of having to spend your annual contribution by the end of the year, and allows for ease of budgeting and allocating where and when health care dollars are spent. A convenient way for employees to access and use FSA funds in a secure way is through a Visa debit card. While individual health care needs vary, here are just a few common eligible health care expenses and scenarios that can be covered with flexible spending account dollars. Copays and deductibles are generally covered out of pocket, but both are easily handled by funds allocated and available through your FSA. The cost of important and routine exams, such as physicals or dermatology checkups, can quickly add up. But, with dedicated FSA funds, you can cover these costs with ease. FSA monies can be used to keep your smile bright and healthy. Dental cleanings, dentures and orthodontia are all eligible FSA expenses. Not only can your FSA help to keep your mind at ease about medical expenses, it can also help to keep you seeing in clear view. Annual vision exams, new glasses and LASIK services can also be covered with FSA funds. Many employees may think specialty visits are ineligible expenses, but your chiropractor or acupuncturist can also be paid for with FSA funds. Necessary health care equipment like blood pressure monitors or thermometers can be purchased with an FSA, as can important and potentially life-changing services, such as smoking cessation programs. Additionally, the pre-tax salary reduction helps pave the way for employees to really stretch their hard-earned dollars. For example, the average employee who contributes $500 to their health care FSA at the start of the year will probably utilize all of those funds by the end of the plan year and by contributing that amount to an FSA will save approximately $150 in taxes, depending on his/her tax rate (the maximum contribution for an individual is $2,550, which would save an average of $765 at a 30 percent tax rate). Using your Visa debit card for your FSA may also cut down on your paperwork. Many of the processing systems at pharmacies, grocery stores and other retailers that sell medical products are programmed to distinguish between covered items and non-covered items, making getting the care you need more simple. As you review your options this open enrollment season, ask your employer if they offer flexible spending accounts with carryover, available on a Visa debit card. To learn more visit www.visahealthcare.com. (Family Features) As the calendar turns over a new year, it’s a good time to take stock of your finances. Evaluating what missteps you made with your money in the past year, determining how you can correct those errors and setting a realistic budget will put you on your way to better financial health in 2016. A top New Year’s resolution is putting money into a savings account each month, according to a recent survey of working adults by the Principal Financial Group. Leading money management priorities include paying down debt (28 percent), saving for retirement (25 percent) and building a savings account for emergencies (15 percent). Achieving those goals starts with setting a budget that you can reasonably follow, said Kevin Morris, vice president of retirement and income solutions at The Principal. However, the group’s recent survey shows many Americans have plenty of room for improvement. In 2015, workers reported that they blew their budget on dining out (24 percent), food/groceries (19 percent), entertainment (15 percent) and other consumer goods (15 percent), among other things. 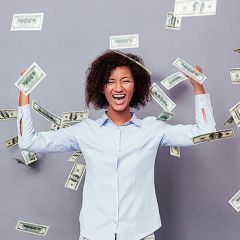 On top of that, employees’ top financial blunders included not saving enough (20 percent), accumulating credit card debt (11 percent) and spending outside their means (9 percent). Account for incidentals. When listing all the people and places you owe money, it can be easy to overlook other expenses that really add up. Things like a work wardrobe, toiletries and personal hygiene items are necessary purchases that should be reflected in your budget. Expect the unexpected. Even the best planned budget can fall apart when unexpected expenses arise. Ensure that you’re not only directing a sum of money to your savings account each month, but that you’re earmarking some of that money for emergency car repairs, an unplanned visit to the veterinarian or a critical home repair. Don’t treat your budget like a bad diet. Like a crash diet, being too restrictive with your budget will leave you discouraged and exhausted. And maybe hungry. The key is to be honest with yourself about your spending. Look at your spending history – you might be surprised to see where your money goes. Be sure to set a reasonable budget each month that allows you manage your finances without falling off the wagon. Leverage rewards. It may seem counter-intuitive to use a credit card for expenses you don’t need to buy on credit. But if you use a cash back rewards credit card for your regular essential purchases and even bills, you’ll have some extra income each month. Deposit those rewards in a savings plan or allocate them to help pay down debt each month. Just remember that this approach only works to your advantage if you pay the balance each month. Research all your money management options. A solid budget is the foundation of a good money management plan, but the type of accounts you use can also influence your financial situation. A financial advisor can help you understand the benefits and limitations of various types of checking, saving and investment accounts, as well as other products to help maximize your savings and minimize debt. Find more information to help guide your budget planning as well as the full Principal Financial Well-Being Index: American Workers study at principal.com. (Family Features) If you happen to find yourself in a tight spot, borrowing money can help set you back on the right path. 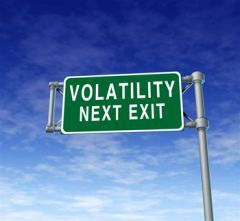 However, doing so without a full understanding of the facts can hinder your finances in the future. The two most common types of small-dollar borrowing are traditional installment loans and payday loans. Knowing the ins and outs of each type of loan and how they work can help you make the best decision for your financial situation. Traditional installment loans are one of the oldest forms of finance transactions and provide credit to individuals and families who need access to credit to meet an immediate need, such as vehicle repairs, household appliances or medical expenses. Averaging around $1,500, traditional installment loans are “plain vanilla” loans with transparent, easy-to-understand repayment terms, due dates and payment amounts – which usually average $120 per month over a term of about 15 months. With regular, manageable payments of principal and interest, the borrower has a clear roadmap out of debt. Best of all, traditional installment lenders report payment activity to credit bureaus, improving a borrower’s credit score when payments are made on time. Payday loans are repaid in a single balloon payment at the end of the loan period. This payment is usually due in less than 30 days and frequently the term is as short as 14 days. Payday lenders do not assess ability to repay, relying instead on a postdated check or similar access to a borrower’s bank account as assurance the loan will be repaid. If a borrower cannot afford to repay a payday loan in full when it comes due, they are left with no option but to refinance the entire balance of the initial loan. Although payday loans may appear to provide a quick and easy solution, this single, lump-sum payment can lead to significant problems for the borrower. Payday lenders have also been sanctioned in many states, and at the federal level, for abusive practices. 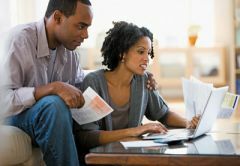 To learn more about affordable credit options that are available to help you better manage your money, visit installmentloanswork.com. Is an Installment Loan Right for You? Obligates future income. You’ll be required to set aside a certain amount of future income for loan payments. Requires discipline. Borrowing wisely means not borrowing more than you can handle. Don’t let the thrill of buying obligate you to more than you can afford. Makes it possible to meet unexpected expenses. The ability to borrow and make affordable payments can be helpful if an emergency arises that requires extra money. Allows you to obtain products and services now and pay for them later. A loan can provide an opportunity to purchase bigger-ticket items and use them right away. Amount Financed: The total dollar amount of the credit that is provided to you. Annual Percentage Rate or “APR”: A measure of the cost of credit expressed as a yearly rate. Credit Insurance: Optional insurance that is designed to repay the debt if the borrower dies or becomes disabled. Finance Charge: The dollar amount you pay to use credit. Fixed Rate Financing: The interest rate and the payment remains the same over the life of the loan. Equal monthly payments of principal and interest are made until the debt is paid in full. Length of Payment: The total number of months you have to pay the credit obligation. Late Payment Fee: A fee that is charged when payment is made after its due date. Budget your money. Provide your monthly spending plan when you meet with creditors. It will help them make a responsible decision about the amount of credit you can afford. Don’t overextend. Be sure you can pay back the loan. Don’t bite off more than you can chew. Get personal. If possible, borrow from someone you actually can see and talk to in person. Get comfortable with the lender, and let the lender get comfortable with you. Shop. Compare costs. Shop for credit like you would shop for anything else. Beware of “now or never” offers. If it’s a good deal, it will probably still be there after you’ve had time to think about it. Don’t be pressured into making a quick decision. Ask questions. Don’t sign on the line until all your questions have been answered. Read the contract. Don’t sign a contract that you don’t understand or has any blanks. A signed contract with blanks can be completed as anyone wishes and it will be legally binding. Keep your contract in a safe place. It’s important to keep all paperwork relating to your credit obligations. If questions come up later, you’ll have your agreement in writing. Make your payments on time and in full. This is one of the best ways to build a good credit history. Additional products are not required to get a consumer loan. Optional products that may be offered for purchase with your loan include motor club membership, term insurance or warranties.